Patrice Désilets, best known as the creator of Assassin’s Creed, is set to return to consoles later this year after what is a 10-year hiatus, with Ancestors: The Humankind Odyssey. Ancestors takes place in Africa, some 10 million years ago, and tasks you with surviving and evolving a lineage of apes. In short, Ancestors is a survival game, one that doesn’t hold your hand, one that barely explains the basics to you, but one that will test your sense of discovery, pique your curiosity, question your ability to solve problems and sometimes, your patience. So, how is it different, you ask? Well, for starters, there’s no faffing around with your inventory. Ancestors effectively has two slots: your left hand and your right hand. That, and nothing is really explained to you past the first 10-15 minutes. Ancestors is a game that’s not going to help you one iota. There’s absolutely no hand-holding here – almost to a fault at times, to be honest. The whole idea of the game is for you to find your own way in the world, to discover the best way to evolve, to navigate the treacherous jungles of Africa and do what’s best for your lineage. The first objective in Ancestors is to survive, that means eating, drinking and sleeping – those are your daily quests, per se. But your main objective is to evolve your lineage, from discovering landmarks, avoiding the dangerous prey that live in the vast jungle, finding out what's safe to eat, working out how to tend to wounds and make a bed, all of which expands your suite of abilities. You’ll start at the bottom of the food chain, weak and vulnerable, and through various tasks around Ancestors' lush open-world, you’ll gain more abilities and grow as a lineage. You’ll start picking up skills and traits that enable you to command your clan, or use both hands, for instance, and then you’ll continue to grow and grow – metaphorically – to learn the tips and tricks of the trade, like how to craft weapons, discover what’s safe to consume and what isn’t, and eventually, you’ll ascend to become the dominant species. Or not. That depends on you. Ancestors isn’t exactly what you'd call a forgiving game. 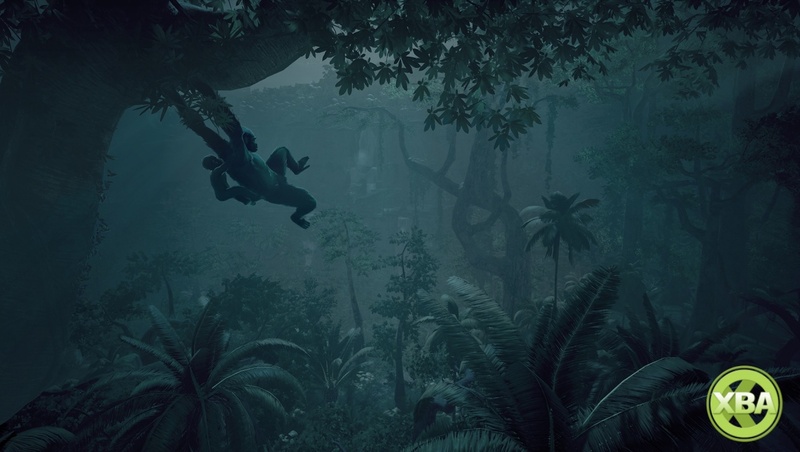 If you fall from a great height after swinging through the jungle, you’ll break a bone. If you eat the wrong food, you could upset your stomach. If you don’t pay attention you could get flattened by a warthog, pierced by an eagle’s talons, poisoned by a python, obliterated by a sabretooth tiger, and so on. It's a jungle out there. And the game doesn’t explain to you how to stop yourself from dying in numerous situations. You have to work that out yourself. Ancestors is essentially a game of trial and error. You do have a couple of tools at your disposal, though: namely your sense, which allows you to hear various sounds around you; and your intelligence, which you can use to highlight important areas in the environment. Both are essential considering the game doesn’t even give you a mini-map. When we said it doesn’t help you, we really meant it. If you’re expecting Assassin’s Creed levels of detail, you’re going to be disappointed. Ancestors is a game made by 35 people, not the 800 or so that developed Assassin’s Creed when Désilets was at the helm. If you’re expecting a story, you’re going to be disappointed. Although at times Ancestors: The Humankind Odyssey did demonstrate some breadcrumbs in terms of events and what not, there are no missions, no side missions, the whole idea of the game is to survive. If, like me though, you dig a challenge and a good ol’ survival game, then Ancestors might tickle your fancy. It’s early days yet, and there’s still a ton of work to be done in terms of polish, as well as in terms of guidance – but not too much, though, as we feel that would detract from the game and its objective. Based on early impressions, Désilets' return to video games has certainly intrigued us enough to keep an eye on it. 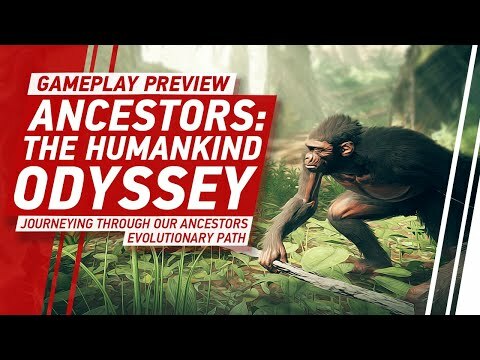 If you fancy checking it out yourself, check out our 20-minutes of Ancestors: The Humankind Odyssey gameplay with me and Dean yammering over the top. 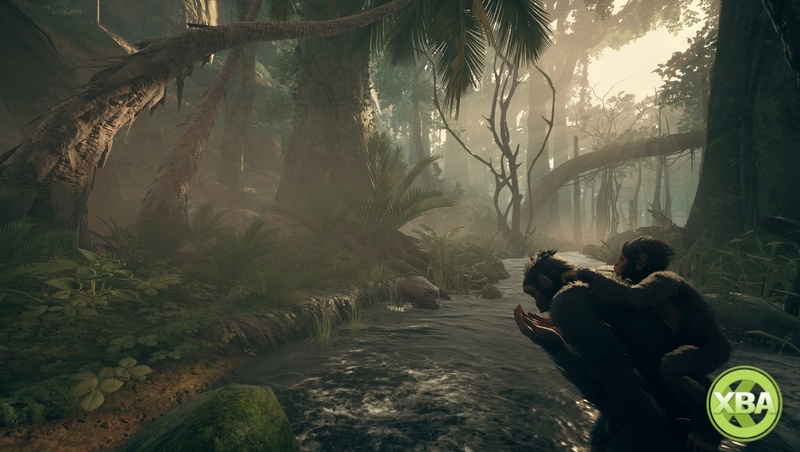 Ancestors: The Humankind Odyssey is scheduled for a 2019 release on Xbox One, PlayStation 4 and PC.